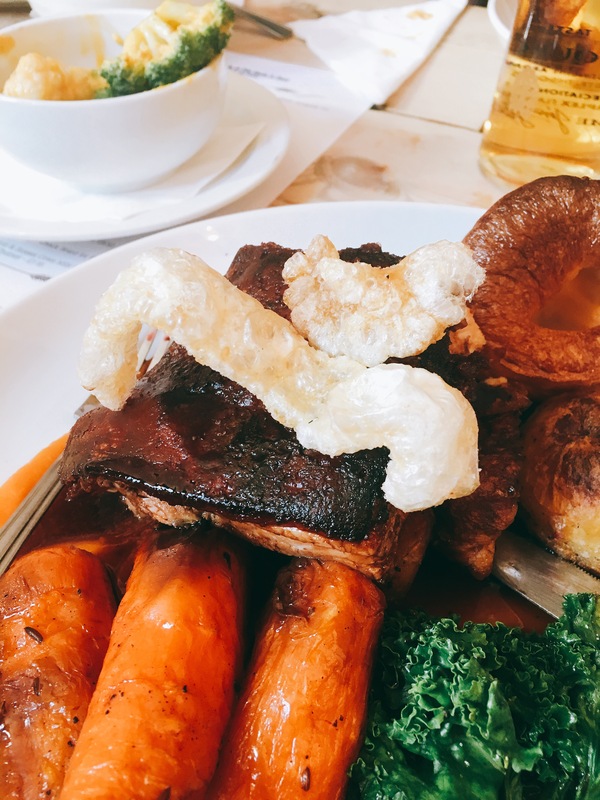 One thing I’ve learned from eating a lot of roasts over the years, which I will say time and time again, is that they are very subjective and dependent mostly on how hungover the chef(s) is. 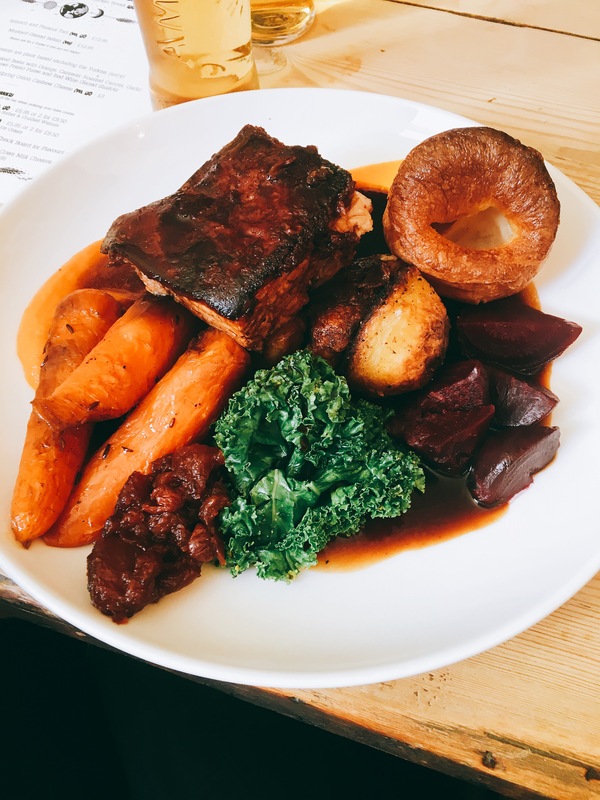 I had a really good roast at the Earth and Stars about 18 months ago so was keen to return to see how consistent they are and to make sure I had another before leaving Brighton for Scotland (where the Sunday roast culture isn’t quite as strong). I suggested it as our roast destination for a friend’s birthday as they have a lot more tables and seats than you realise and were able to accommodate all 16 of us. 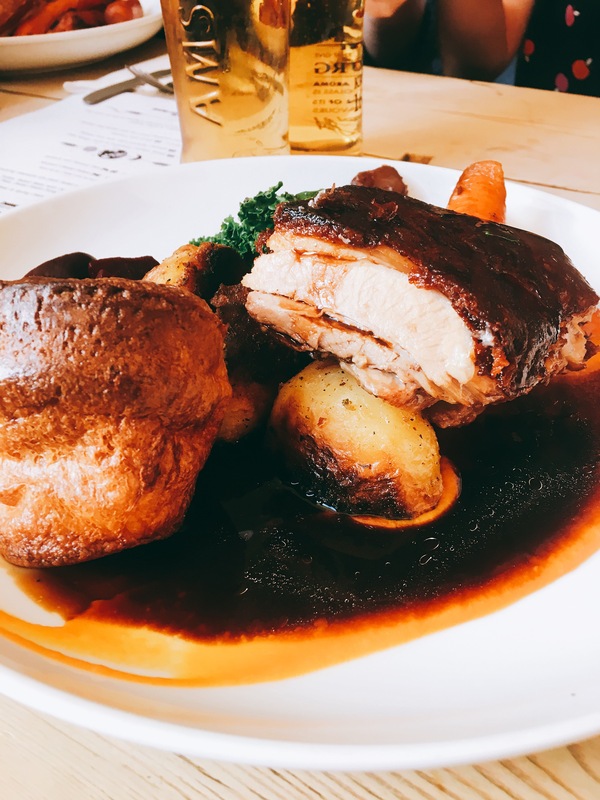 Since eating here, it’s been announced that they have been nominated for best Sunday lunch in the Brighton and Hove food awards. There were four meat choices on on the day: medium rare sirloin, pork with ‘crackling quavers’, chicken breast and stuffed chicken leg. Pork was definitely the most popular option with 70% of our group ordering it. 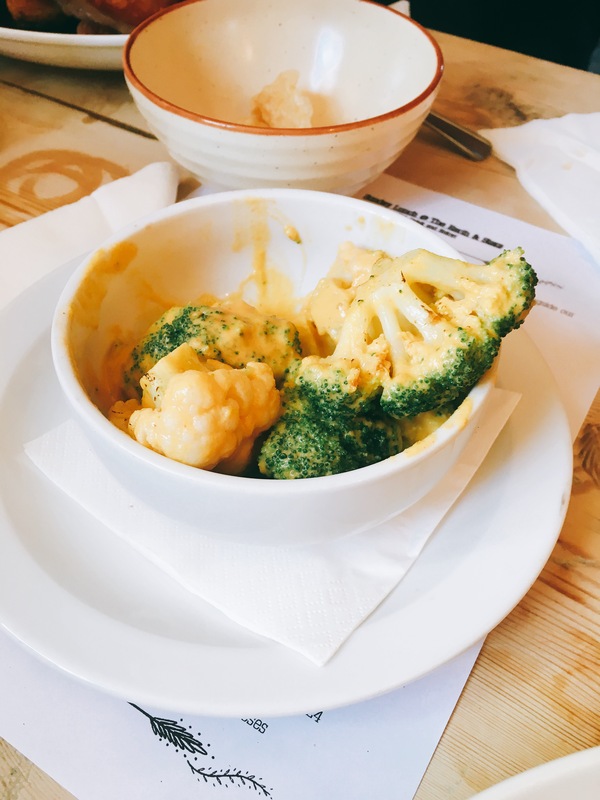 All 16 came out at the same time, the plates were hot and the food was hot (apart from one bowl of vegan cauliflower cheese which was cold in the middle). The consistency of the plates across the table was not great – some had loads of gravy whilst others didn’t, most of the yorkshire puddings were really small apart from a few large ones, some had peas, some didn’t (my plate had two peas!) and some had shallots whilst others didn’t. They also forgot to put any of the ‘quavers’ on the plates so we had to ask for them. The roasted beetroot and carrots were both lovely, as was the garlicky kale (maybe a bit too garlicky for some people). The sweet potato puree was nice. The potatoes were mixed, some were quite dry whilst others were good – again, hit and miss on the consistency. The yorkshire pudding was tasty but small and a bit overcooked. The crackling quavers really were not great, I think it would be best just to stick to regular crackling in future. The stars of the show, however, were the meat and the gravy. Everyone was in agreement that the meat was really good, top quality and well cooked. The gravy was homemade and had a depth not many pub roasts can master. Overall, to satisfy 16 people (some of which were hungover) was never going to be an easy task and the Earth and Stars, for the most part, did a pretty good job. It definitely wasn’t as good as the last time, which was a shame but such is the nature of the roast! Side note: the waitress started clearing the plates before we had all finished our meals which is in really bad taste and a massive bug bear of mine. 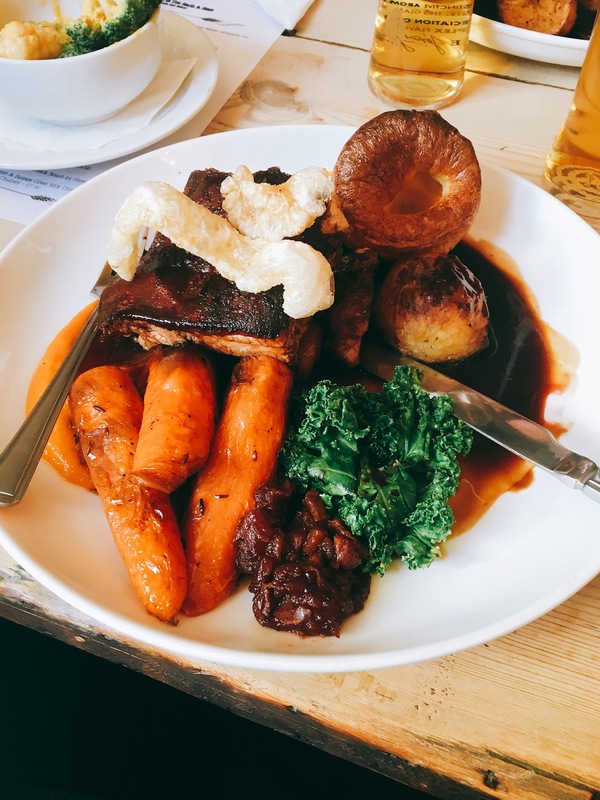 The Foragers is still my top roast destination in Brighton. You can see my review of them here. Have you been to the Earth & Stars? What did you think?